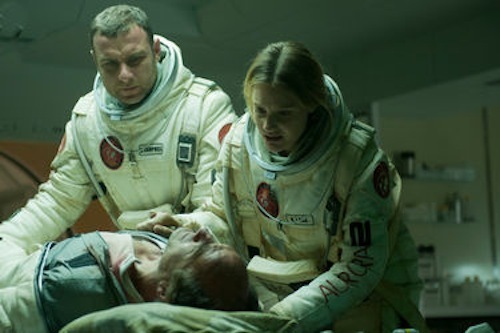 Synopsis: On the last day of the first manned mission to Mars, a crew member of Tantalus Base believes he has made an astounding discovery – fossilized evidence of bacterial life. Unwilling to let the relief crew claim all the glory, he disobeys orders to pack up and goes out on an unauthorized expedition to collect further samples. But a routine excavation turns to disaster when the porous ground collapses, and he falls into a deep crevice and near certain death. His devastated colleagues attempt to recover his body. However, when another vanishes they start to suspect that the life-form they have discovered is not yet dead. As the group begins to fall apart it seems their only hope is the imminent arrival of the relief ship Aurora. Where it once was a powerful force in the horror world, the zombie movie has lost its impact. In a time when half the country eagerly awaits Sunday nights so that they can see the newest episode of “The Walking Dead,” it’s easy for the genre to suffer over-saturation. The only way to keep zombies fresh is to inject them into different situations and settings, which is exactly what director Ruairi Robinson tries by sending them into space in The Last Days on Mars. Like the name suggests, The Last Days on Mars is the story of a research crew who are nearing the end of their six month stay on the angry red planet and are preparing to return to Earth. Dr. Kim Aldrich (Olivia Williams from The Sixth Sense) and two assistants, Vincent Campbell (Liev Schreiber from “Ray Donovan”) and Rebecca Lane (Amazing Grace‘s Romola Garai), gather one last batch of specimens before they leave. Back at the lab, Kim discover traces of bacterial cell division in the rocks that they have retrieved, indicating that there is (or once was) life on the planet. Two other crew members, Marko Petrovic (Taken‘s Goran Kostic) and Richard Harrington (Tom Cullen from “Downton Abbey”), take it upon themselves to investigate further and Marko falls into a hole in the planet’s surface. Marko is rescued, but he brings something back to the station with him; he is infected with a virus that turns its victims into murderous zombies. The virus works its way further through the crew, leaving the survivors to find a means of escape…as soon as they can determine who is, and who is not, infected. 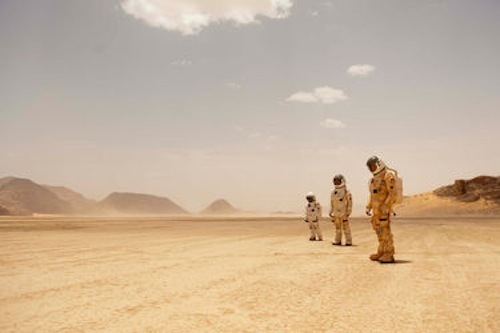 For what it is, The Last Days on Mars is a pretty decent attempt at sci-fi horror, but doesn’t quite reach its goal. The script, written by Clive Dawson (“The Bill”) from Syndey J. Bounds’ short story “The Animators,” is not exactly ingenious, but it’s well written enough to be serviceable. The cast, rounded out by Elias Koteas, Johnny Harris (Snow White and the Huntsman), and Yusra Warsama (My Brother the Devil), is experienced and talented. Technically, it has the look and feel of a much more expensive movie than it actually cost to make. On paper, The Last Days on Mars appears to have all of its ducks in a row. However, what is wrapped up in that shiny package is a disappointing bummer of a movie. As fresh as it seems, the premise in The Last Days on Mars is executed in a way that comes off as stale and boring. 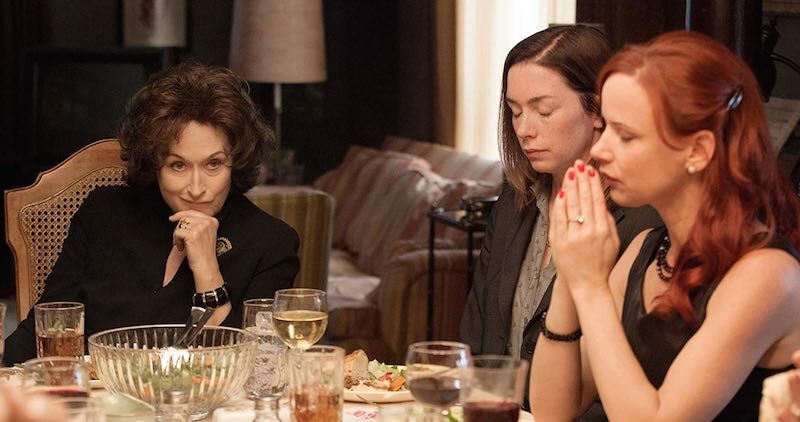 It’s hard to pin down why it doesn’t work; it’s technically sound and has artistic merit, but lacks the energy and emotion that a good movie should have. It seems like more of an exercise than a creative statement, with no real electricity behind it. The film can’t help but draw comparisons to John Carpenter’s similarly themed Ghosts of Mars, but Robinson is no John Carpenter and, even as one of Carpenter’s more forgettable films, Ghosts of Mars is still much more effective than The Last Days on Mars. The Last Days on Mars proves that it takes more than a handful of zombies to make a good horror film, even if they’re in space. The portrayal of space that is put forward in The Last Days on Mars is a little different than most science fiction movies. 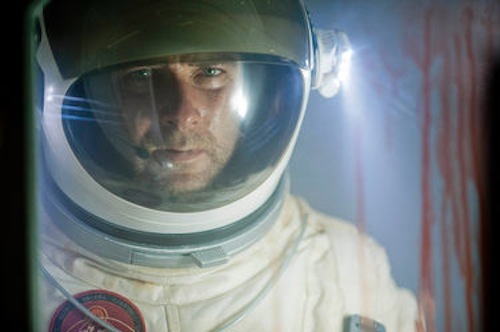 While most space movies are dark and gloomy, director Ruairi Robinson, along with cinematographer Robbie Ryan (Philomena) and production designer Jon Henson (The Awakening), creates a brighter, more realistic depiction – the look is not unlike images that have been sent back from Mars landers in recent years. The external scenes are nothing short of breathtaking, with miles upon miles of sand, hills, and canyons as far as the eye can see. With the planet looking almost like a desert, the visuals stand in stark contrast to those of the genre-defining sci-fi horror films like Alien and Event Horizon. It’s a refreshing change, even if the results are a less frightening film – at least The Last Days on Mars is not a scenic cookie-cutter. Zombies have become so cliched these days that they really aren’t scary anymore, and The Last Days on Mars doesn’t do anything to change that. Even in the isolation of a Martian Space Station, the film cannot manufacture enough tension to adequately provide any scary payoffs. When hell breaks loose, and it does a few times, it’s just cacophony, with little rhyme or reason to the chaos. The zombies are nothing groundbreaking, and even the jump scares are telegraphed so as not to be too shocking. Who knows, maybe The Last Days on Mars would have been better as straight science fiction. It couldn’t have made it worse, because it’s not scary enough to be straight horror.